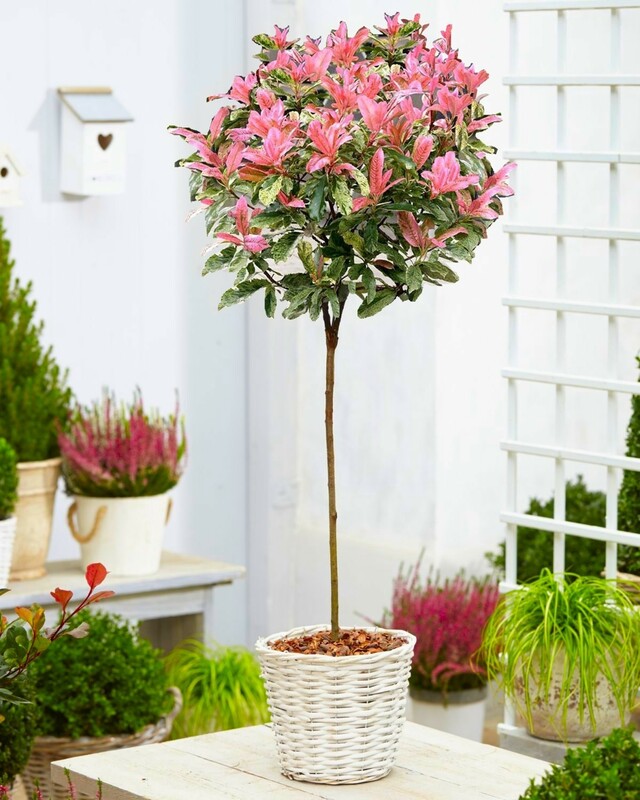 Why not try a one or two of these fantastic new Photinia Pink Crispy trees in your garden? 'Pink Crispy' was introduced by us last year, and these are some of the first standard topiary forms available. 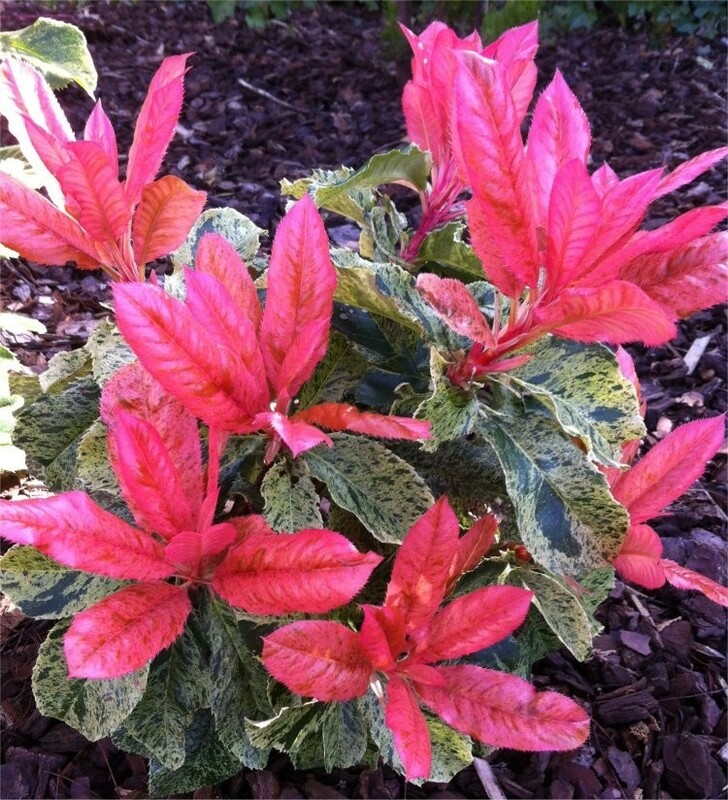 Photinia Pink Crispy is a surprising new variety with superb marbled foliage splashed with light and dark green, beneath the foliage, vivid red stems stand out, and to top things off, the new shoots of Photinia Pink Crispy are a stunning bright pink colour. The glossy foliage therefore provides fantastic foliage colour, interest and structure all year round. Displaying three colours, this Photinia has very special marbled foliage displaying green, cream, and bright pink young shoots at the same time. Being evergreen, they are highly ornamental over a long period and will surprise everyone with their fabulous foliage colouration. Supplied as super strong plants in approx 5 litre containers, with a 'lollipop' head of foliage diametre approx 40cms on top of a clear stem, with a total overall height of around 125-135cms. If you buy more than one, we of course always select closely matching specimens when we ship out as a pair! You'll think of many different positions in which to try these fantastic 'Pink Crispy' Photinia trees.